Earlier this week, Verizon Wireless announced the integration of a standardized app rating system designed to inform users of apps’ age-appropriateness. The CTIA Mobile Application Rating System, created in conjunction with the Entertainment Software Rating Board’s (ESRB), now appears on all Verizon apps, including legacy applications, displaying an age rating category. Six rating markers, styled like ones found on CDs and video games, alert parents if an app is right for age groups ranging from “Early Childhood” (three years and older) to “Adults Only” (18+). For its part, Verizon made the announcement in November 2011 it’d be adopting the industry-wide rating system, used by other carriers like AT&T, T-Mobile and Microsoft. 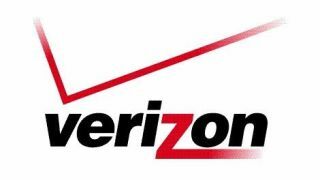 Jack McArtney, director of corporate and community responsibility at Verizon, said Verizon developed its own rating system for mobile content in 2007, but now the company has adopted the industry-wide rating standard. “This is not a Verizon propriety but a common, recognizable system consumers are familiar with,” he said. All apps - no matter how old - will get marked for an age group. Besides offering an immediate read on whether an application is appropriate for a certain age group, McArtney said the system actually filters apps based what parents choose as their children's mobile settings. In addition to granting parents greater control over what kind of applications their children are exposed to, McArtney said the system helps developers more effectively target an app audience. “This creates a target in their market for their desired outcome to create applications for their audience,” he said. According to McArtney, the issue of children getting exposed to unsuitable material is nothing new, but as apps and smartphones become more prevalent in younger age groups, the long-standing issue is entering new technologies. “This are is not new and not even unique to applications,” he said. Verizon, he said, strived to listen to what its customers wanted - an option for control that’s not being stuffed down their throats.